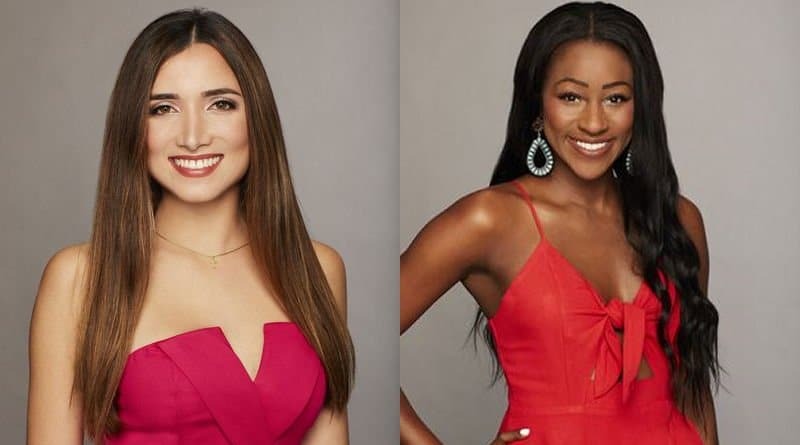 ‘The Bachelor’ Spoilers: Colton Underwood Sends Onyeka or Nicole Home? The Bachelor spoilers reveal Colton Underwood will make a harsh decision regarding Onyeka Ehie and Nicole Lopez-Alvar this week. The pair feuded previously in front of him. Apparently, their decision to argue with each other didn’t sit too well with the hunk. Onyeka Ehie and Nicole Lopez Alvar are clearly not friends. As a matter of fact, they probably can be considered enemies. On last week’s episode of The Bachelor, the bachelorettes argued repeatedly. It’s safe to say these two obviously don’t like each other. The catalyst for the bad blood, began when on Onyeka decided to tell The Bachelor that Nicole was fake. She revealed Nicole is on the reality show for the wrong reasons. In addition, she stated that before Elyse Dehlbom voluntarily left the show, she informed her of Nicole‘s words. 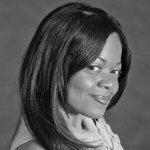 According to Onyeka, Elyse claimed Nicole just wants to leave Miami. Therefore, the show would be an excellent way for her to start a new life. However, Nicole insists this isn’t true. So she decides to approach Colton as well, say The Bachelor spoilers. Nicole tells Colton Underwood that Onyeka is bullying her. She revealed Onyeka said that she was emotionally unstable. This didn’t sit well, according to The Bachelor spoilers. To make matters worse, Colton pulled Onyeka away from the cocktail party to discuss this with her. Naturally, she became upset. It was quite a messy situation. In either event, Colton apparently doesn’t like the bickering. He’s looking for love – not nonsense. Therefore, he attempted to break up another argument between the girls, but it didn’t work. The girls continued to argue in front of The Bachelor. It was quite an unbelievable sight. So much so, Colton walked off while the girls were still arguing. He was flabbergasted. 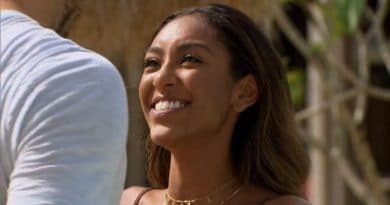 The Bachelor: Who Will Colton Underwood Send Home? Well apparently, the constant arguing will prove to be a turn off for The Bachelor. He will eliminate both girls. On Onyeka and Nicole Lopez-Alvar will both be going home. Apparently, it wasn’t worth the drama. Both women attempted to sabotage one another, but in the end, it didn’t work. Nearly every season, there’s a contestant that approaches The Bachelor or Bachelorette to tattle on someone. Apparently, this is never a good idea. However, it still happens. Hopefully the bickering will cease for the season. Obviously, Colton Underwood will not tolerate much more feuding. He’s ready to find true love! Don’t forget to watch on ABC Monday nights at 8/7 PM central! Visit Soap Dirt for all the latest updates, spoilers, and news for The Bachelor! 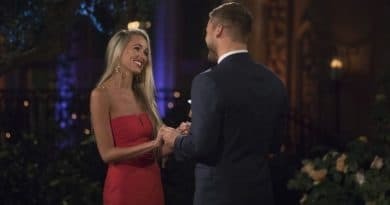 ‘The Bachelor’ Spoilers: Colton Underwood and Heather Martin, Virgin Match Made in Heaven?